Come in. The water's warm. I see the wave coming. And I open my mouth to scream, but all I can do is sing. Like the birds in coal mines of long-ago, melting Polar Regions and shrinking islands are harbingers of an enormous threat. It has happened. It’s already here. 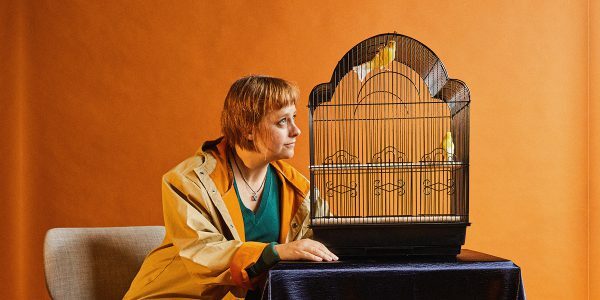 Two Canaries invites you on an expedition into the known world of climate change – as you haven’t known it before. Journey with our canaries from Arctic ice to golden Australian sun, in a unique blend of the personal, the poetic, and the ridiculous. With a stage full of water and a score of live voice and violin, we’re seeking a real sense of hope in the face stark realities. This is a quiet requiem for a melting world, and a love-song for our future one.